I know what you’re thinking – another burger place? But then you check out the menu for Urban Burger and start to drool over their descriptions of delicious and unique burger combinations, grilled cheeses, salads, milkshakes, and sides. 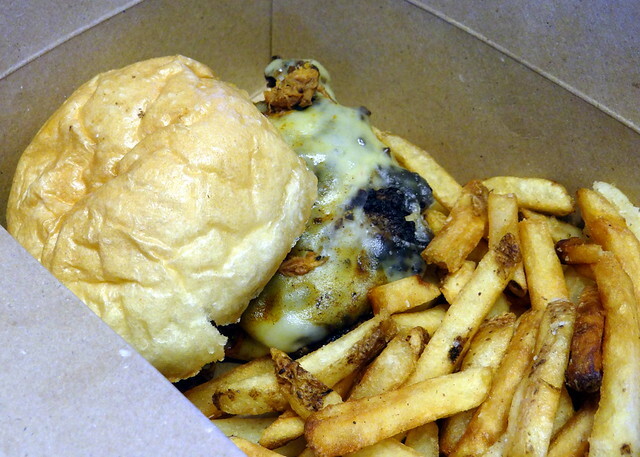 The fact that Urban Burger is from the owners and chef of The Italian Pantry – that’s just icing on the cake. If anyone knows how to bring the burger concept to life, it’s them. Frank and Lisa Rizzo didn’t come to the decision to completely rebrand their restaurant lightly. Around 80% of their business was coming from burgers, and they recognized the need for a quality burger restaurant in the area. They closed down The Italian Pantry and completely renovated the restaurant, adding in colorful and modern decor that gave the space a more casual feel. While they were in the middle of remodeling Frank worked on creating a menu that would give customers options they couldn’t find anywhere else. The most popular burgers on the menu are “Cow Roaming in an Onion Patch” (beef patty seasoned with onion dip mix and topped with caramelized onions, potato sticks and cheddar cheese) and “Speedy Gonzalez” (chorizo seasoned beef patty with pulled pork, homemade apple slaw, bbq sauce and gruyere cheese). All burgers come with a side of fries or salad while additional sides include onion rings, pretzel bites, calamari, and fried pickles. The restaurant doesn’t cut corners, and makes nearly everything in-house; the fried pickles are even pickled at the restaurant and are one of the most popular items. 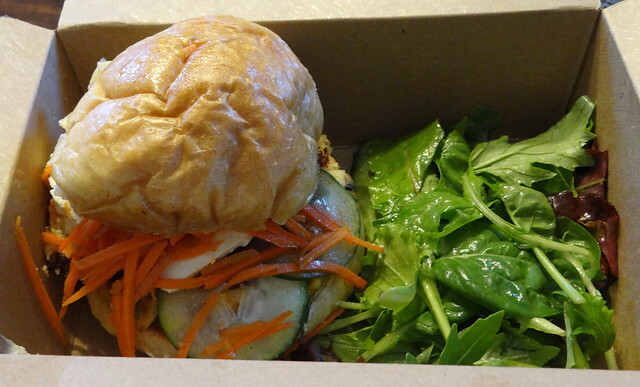 Vegetarians are welcome here, as the restaurant offers a vegetable burger topped with feta, as well as grilled cheese and salad options. If you somehow have room for dessert (I always do! ), Urban Burger has milkshakes made with ice cream from Vanilla Bean Creamery across the street. They also use Breadsmith bread for their hamburger rolls. The restaurant is open 7 days a week, and they’re planning to offer brunch in a few weeks. The brunch menu will offer some of customer’s favorite dishes from The Italian Pantry, including their much beloved “Sunday Sauce.” The restaurant will also be adding delivery to neighboring towns, as well as catering. Down the line the restaurant would love to franchise their restaurant, while still keeping the additional locations in the area. 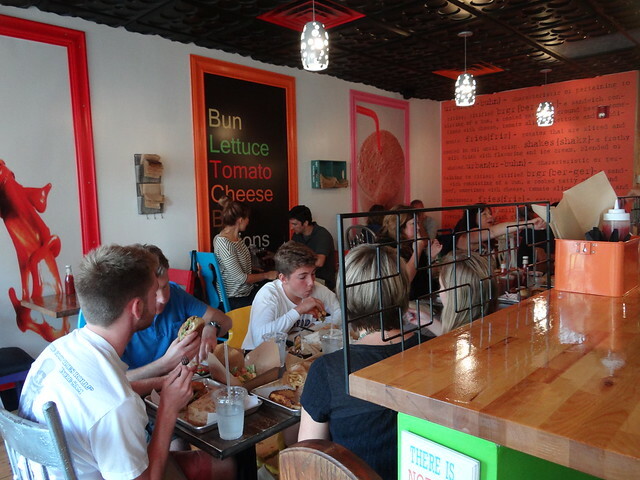 It’s only been open for a few weeks but Urban Burger is doing a great job of attracting customers, appealing to both regulars from The Italian Pantry, as well as new patrons. I had to reschedule my first interview with the owners because the restaurant was completely packed at 5:30 on a Thursday night. It looks like Frank and Lisa’s intuition was spot on.